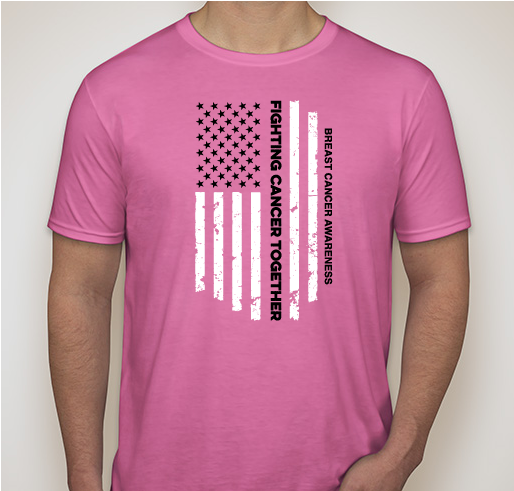 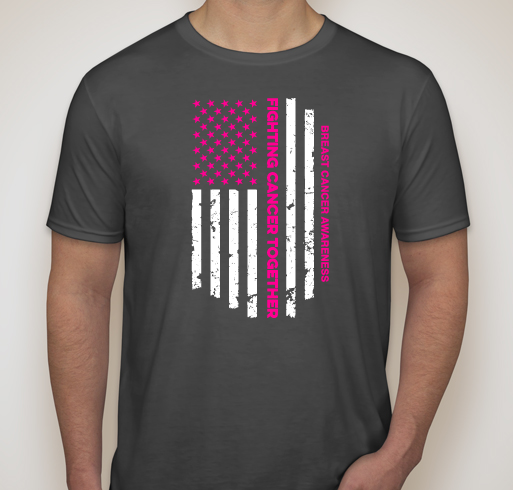 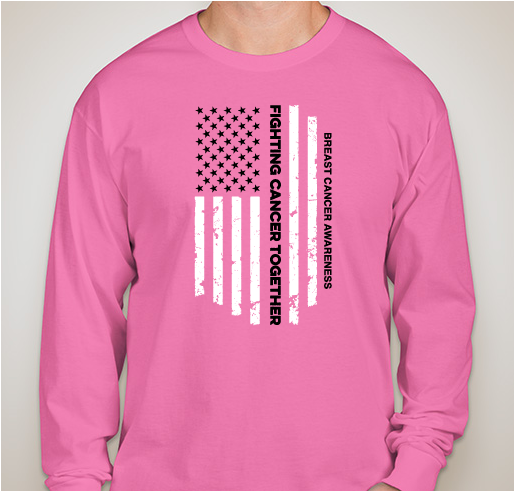 All funds raised will go directly to The American Cancer Society . 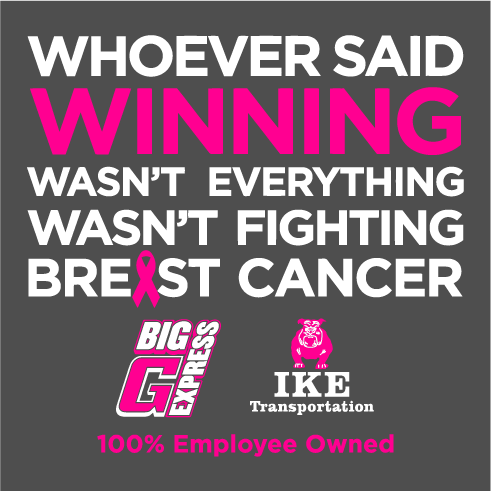 Big G Express is a 100% Employee Owned Trucking Company located in Middle Tennessee. 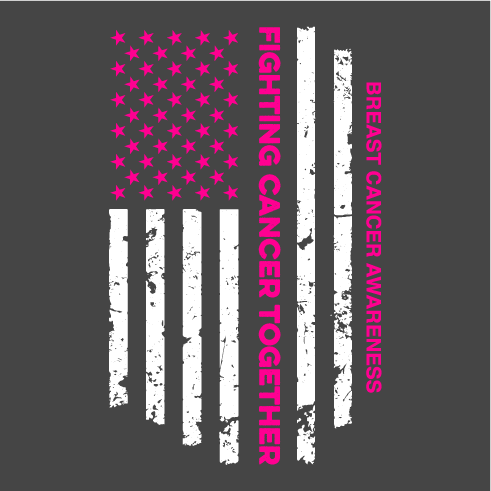 We have raised money for the American Cancer Society Making Strides Against Breast Cancer for 5+ Years and will continue making contributions for this walk on November 3rd, 2018. 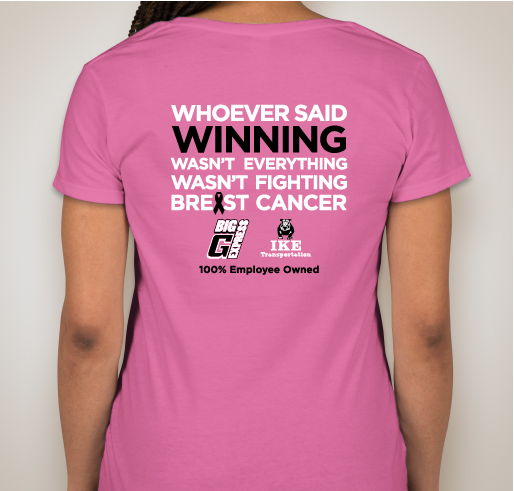 We have had great success using Booster as a fundraiser in the past! 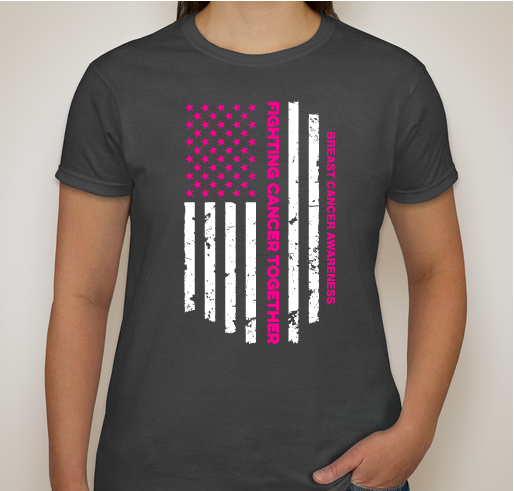 Everyone loves having a tshirt to show their support and giving to a great cause at the same time. 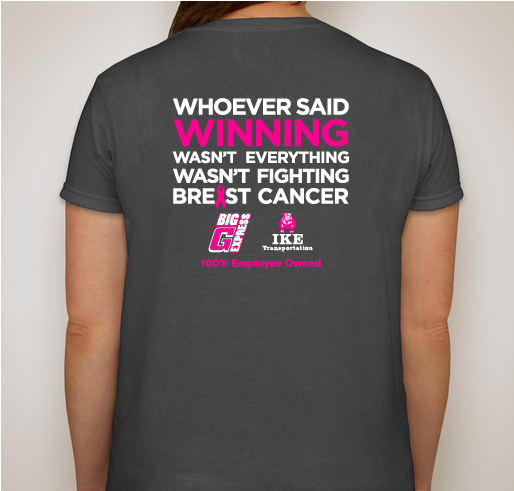 So many people know someone who has been diagnosed with breast cancer and it is a cause that so many are passionate about supporting. 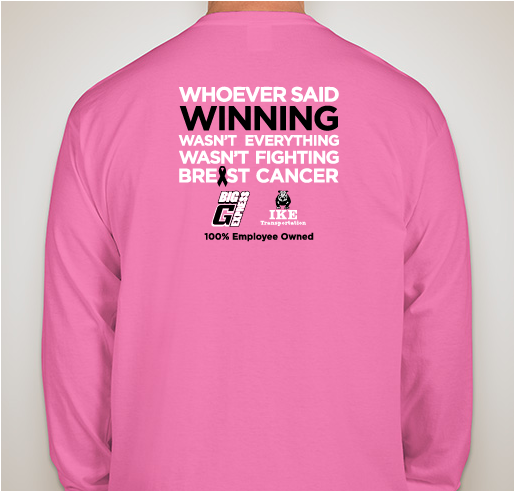 Big G Express Employee Owners support this cause each year as we raise awareness of breast cancer. 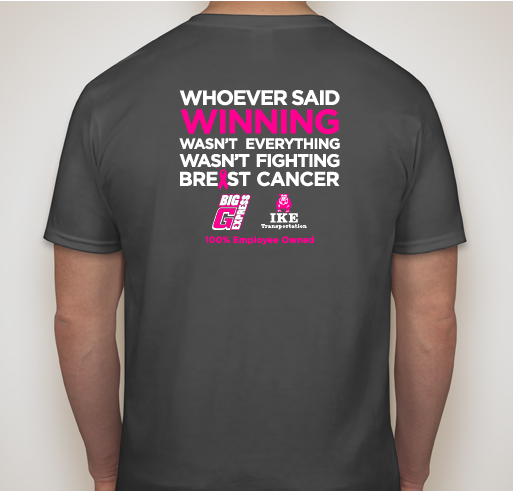 For all those who have fought this horrible disease! 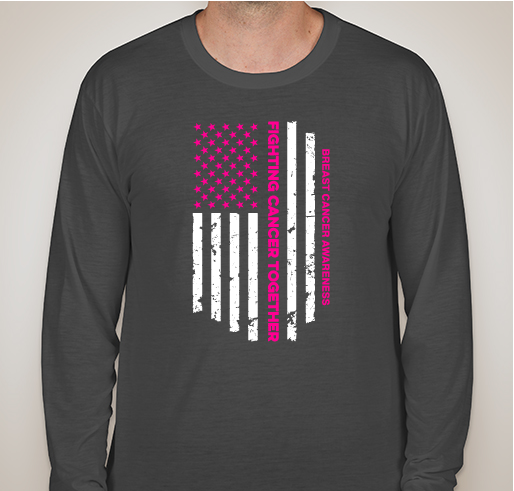 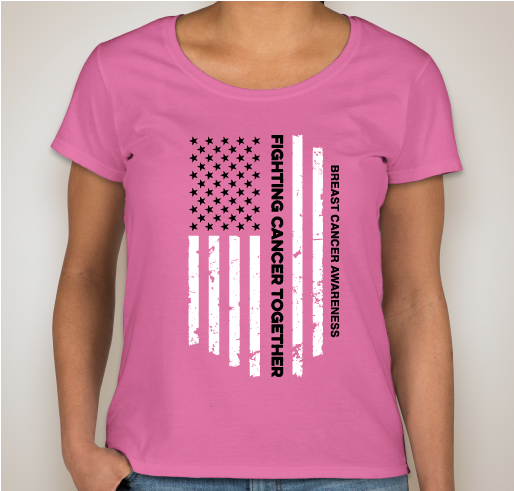 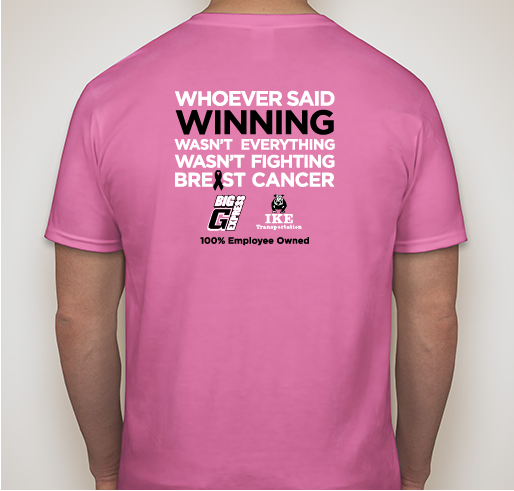 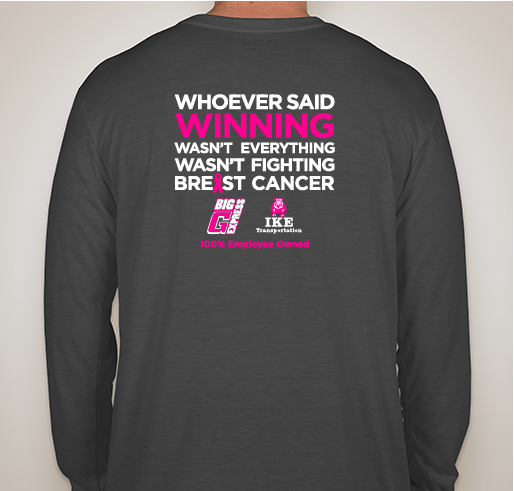 Share Why You Support "Big G Express- Making Strides Against Breast Cancer Shirt Fundraiser"